Podcast Ep. 3 – Get a Living Trust! You might feel like you have plenty of time. You know you need to plan your Glendale CA home estate, but you’ll certainly do that before it’s too late, right? Did you know Aretha Franklin died without a will or trust?! As poor as her health had been, she still felt like she had more time. And now her estate is in a mess. I can’t imagine what her children and loved ones must be dealing with! 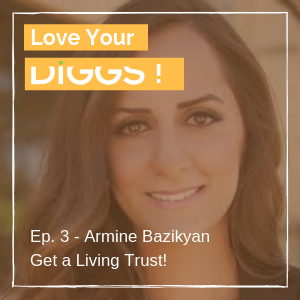 In today’s show we talk with Armine Bazikyan, an estate attorney specializing in trusts, wills, estate planning and trust administration.